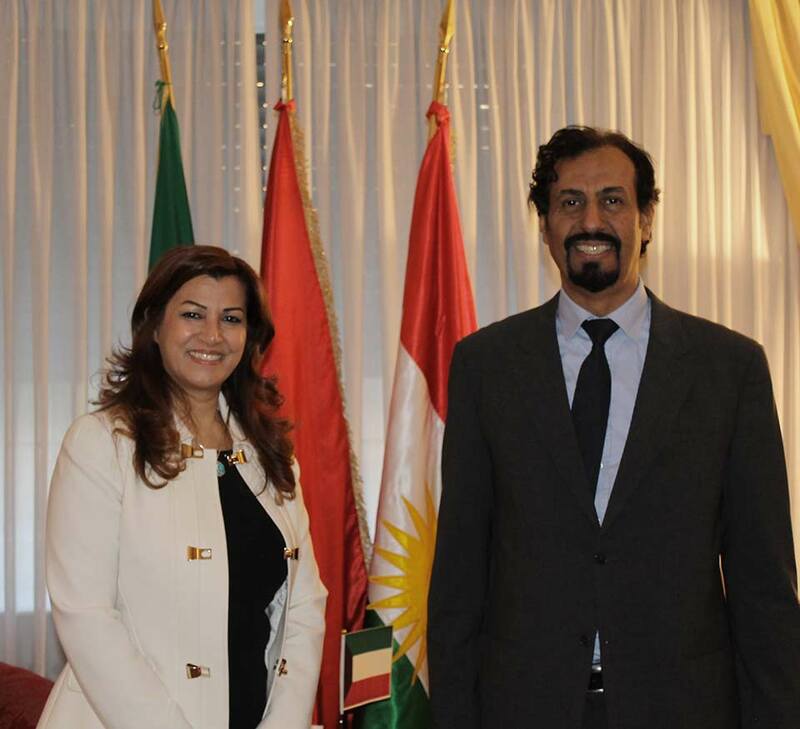 Today, Mrs. Kader received the visit of the Ambassador of the State of Kuwait, Ali Khaled Al Jaber Al Sabah at the offices of the KRG Representation. The talks focused on the bilateral relations between the State of Kuwait and the Kurdistan Region, the current situation in their respective countries, the developments in the fight against Daesh. The Ambassador, Ali Khaled Al Jaber Al Sabah thanked Mrs. Kader for her kind welcome, underlining the interest of the Kuwaiti government to intensify bilateral relations between their countries in the politic-diplomatic, economic and cultural field, organizing also social events in close cooperation between their diplomatic missions. Mrs. Kader has in turn thanked the Ambassador for their deep support in the fight against Daesh, hoping that their relations and friendship may be increasingly strengthened.